Get the most from your multifamily property. Get peace of mind concerning your investment. Get an experienced and proven manager. 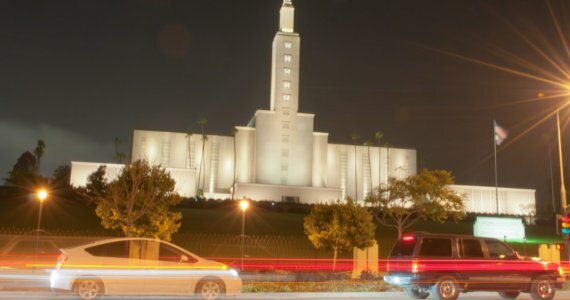 West Los Angeles is a unique neighborhood within the greater city of Los Angeles, California. The neighborhood's central location has long driven commercial growth in the area, with office complexes now dominating a large portion of the landscape. West L.A. is home to an ethnically-diverse population, with many Japanese and Mexican immigrants in the area. The neighborhood also has a wide number of educational institutions, city parks, and recreational facilities, which makes it a popular choice for families with small children. After the Mexican-American War, the original property owners in West Los Angeles left the region. During this time period, much of the area was utilized for farming purposes. Japanese immigrants arrived in the 20th century, and many established orchards and nurseries in West L.A. Some of this influence is still visible today, with a few nurseries still operating in the area. As Los Angeles County's density has increased, West L.A. has become a coveted spot for office space. Much of West Los Angeles' residential property consists of single-family homes and small apartment complexes. As the area has grown in recent years, some of these structures have been replaced with larger buildings to accommodate the influx in tenants. The neighborhood now houses some of the tallest residential buildings in the entire city. Residents can utilize the Big Blue Bus transit system to travel within the neighborhood and access other areas of the city of Los Angeles. 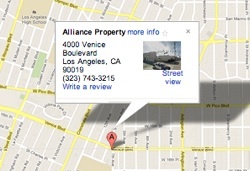 Are you a property owner in West Los Angeles? Partner with the Alliance Property Management team to address the needs and responsibilities of your rental home. With more than 40 years of combined experience in real estate management, our staff will be happy to help you price your property, find the right tenants, and handle everyday maintenance requests. Contact us today to learn more about the services we offer. Why Choose Alliance Property Management? Alliance Property Management is committed to working closely with our clients to fully understand their investment goals for each property, and then to delivering to them a full offering of services that transform these goals into reality.